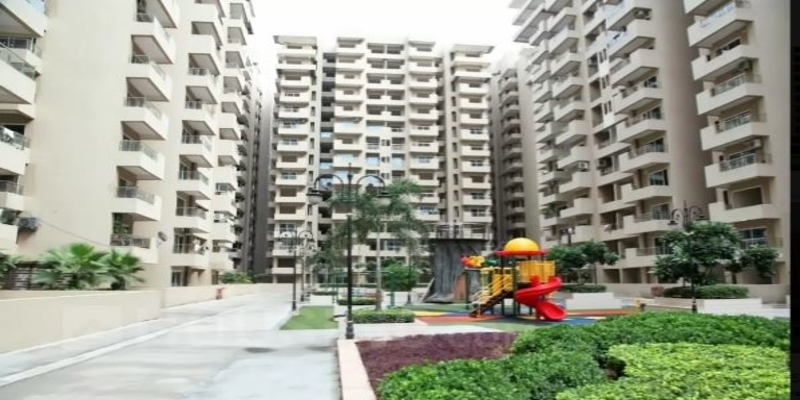 Gaur Cascades is a well-equipped society in Rajnagar Extension. Gaur Cascades is developing by Gausons well-known builder in Delhi NCR.Gaur Cascades consist two, three and four bedrooms apartments.Gaur Cascades will be finest landmarks in Rajnagar Extension. Project Brief: Gaur Cascades is developing on 9.18 Acre land.The total number of flats are 1140 with 15 floors on 9 Towers. 10.5 Acre Land with very low density. Introducing Double Height parking to accommodate 2 cars at one place. Full disclosure of Actual Built up area & rates is on the Built up area. 7 KVA for Big sizes, 5 KVA for Small Sizes. 9 towers in 10.5 Acres. No open parking so More Green Area. World class Amenities & Landscaping. Gaur Cascades is located on Delhi-Meerut (NH 58) bypass road in Rajanagar Extension. Within 5 Kilometer: G. D. Goenka School, DPS Raj Nagar, Schiller School, R K G Engg College.